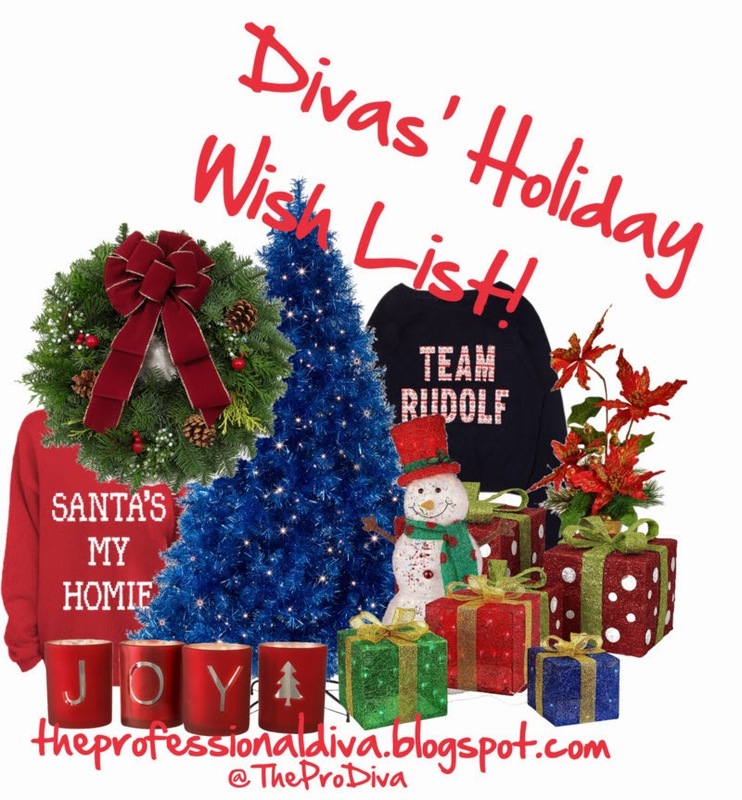 THE MARTINI CHRONICLES: Divas' Holiday Wish List! Pssst! Divas get in here! Over the past few months, I have trolled the Internet and several magazines to create a list of perfect holiday gift ideas for Professional Divas. My hope was to bring you 12 items, as in the 12 days of Christmas. But in my trolling, I couldn't narrow it down 12 gifts...I found 17! Yes, 17 swoon-worthy gifts for you, or your favorite Professional Diva! So how will this work? Starting today, and every day until Christmas, I will reveal one of these fabulous gift items. What do you need to do? Well, you have options. You can purchase the item for yourself, purchase the item for your favorite Professional Diva(s), or forward the post to that special someone in need of a little hint. Also, please be sure to comment below and give your opinion on the item. Happy Shopping!